Tiranille Starshine romantic wire wrapped filigree earrings are gorgeous, fanciful earrings. The soft colors and glowing stones combine to make a piece worthy of your most special outfit. 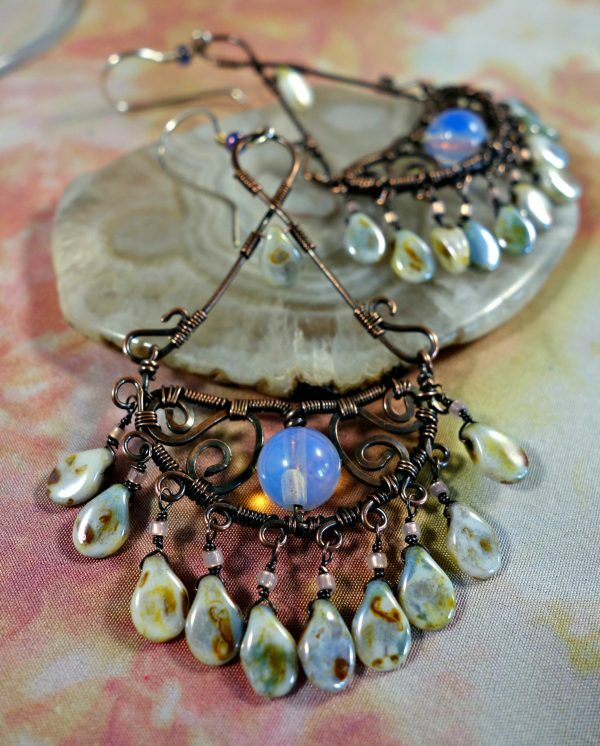 Nestled into a bed of filigree swirls are soft and shimmering Opalite rounds. 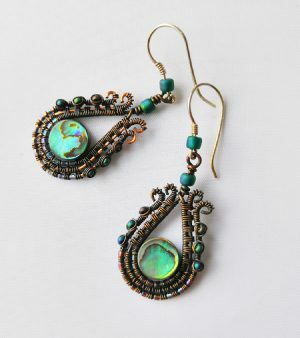 A swash of gorgeous dangles is hanging below. 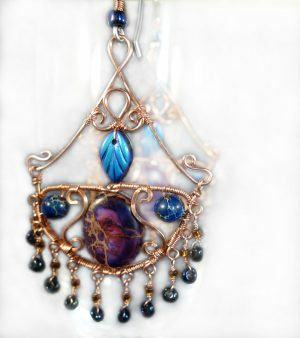 I used Pip Preciosas in a white-blue luster to make the dangles. 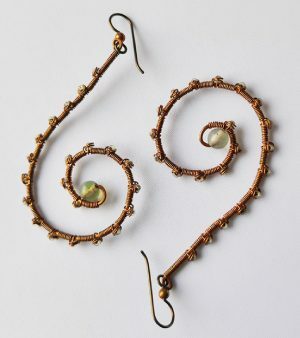 These little nugget beads are so lovely. 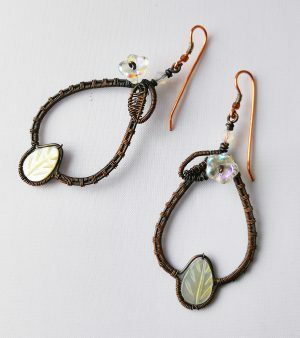 I hand wrap each dangle onto the earring to prevent loss. Jump rings are easy to separate and fall off. Wrapping is a much more durable method than jump ring dangles. 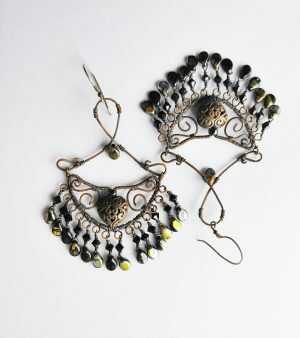 These lovely chandelier earrings are made with sterling silver wire and have sterling silver ear wires. My son ordered these for me, and i was thrilled, as i had ordered a pair of another design myself. Shipped together, these were such a day brightener! Diane’s craftsmanship is exquisite. I receive more compliments on these earrings than any others i have worn. Truly wonderful. I am so glad that you love these Arlee, they are one of my all-time favorites. I really have to make myself a pair!